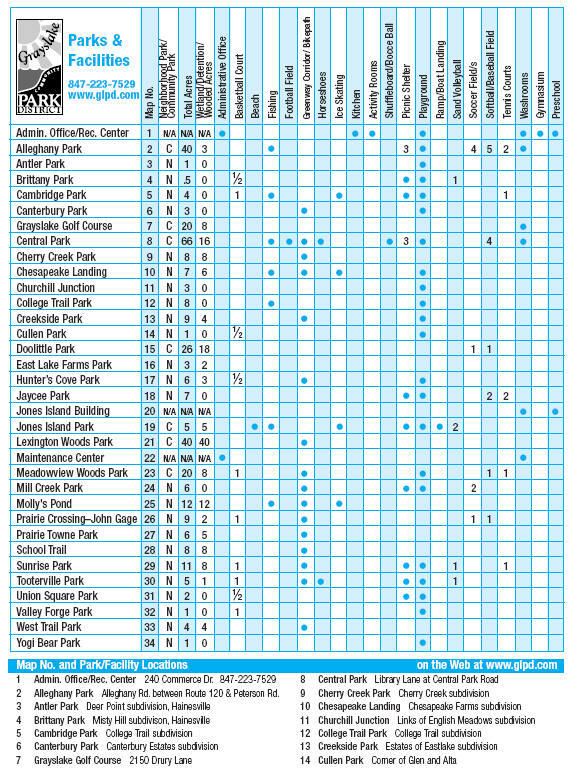 uses the facilities of the Grayslake Park District. behind the Grayslake Aquatic Center by the library/Middle School). Additional games may be played at Falcon Field located at the corner of Atkinson Rd and Frederick Rd near Frederick School on Rte.83. 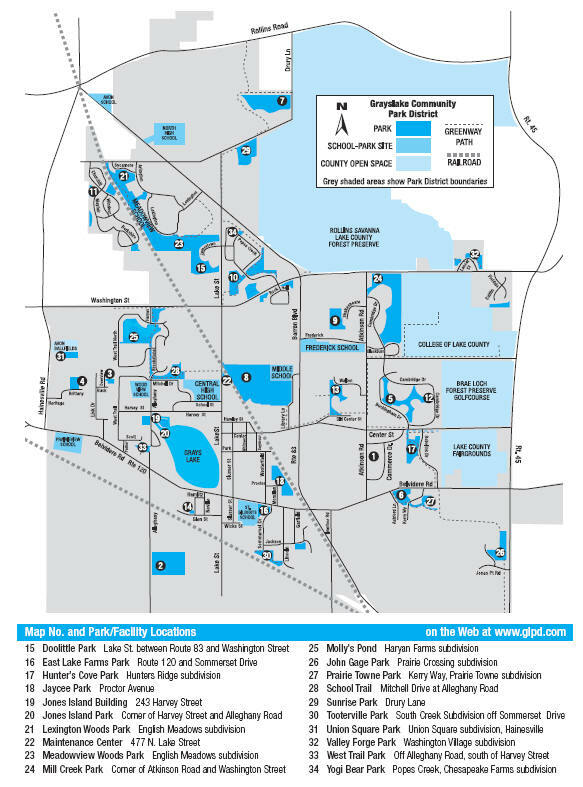 The map below provided by the Grayslake Park District indicates the location of the parks used by GYBA.